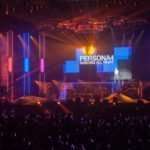 Famitsu had an interview with Persona series composer Shoji Meguro where he discusses his time at the recent concert Persona Super Live 2015, as well as a few tidbits about Persona 5. Translated by Reddit user Hakuryoku. 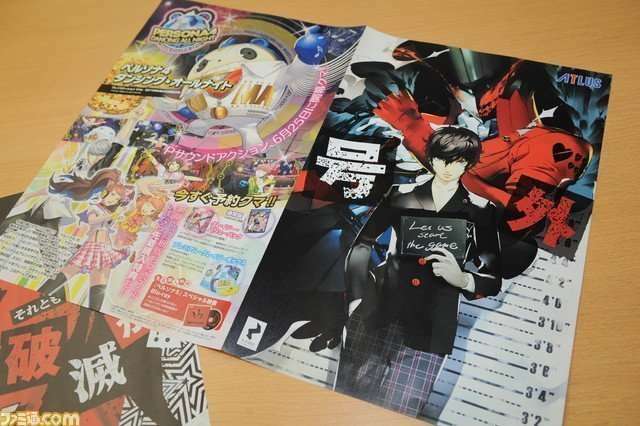 Famitsu: Thanks for all the hard work you put into Persona Super Live 2015! I see you’ve already changed out of your stage outfit, I would have really liked to have seen it up close. 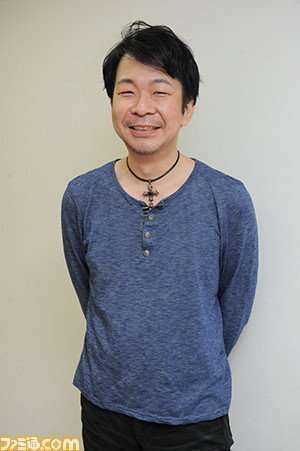 Famitsu: Last time you said you were super nervous, How about this time? 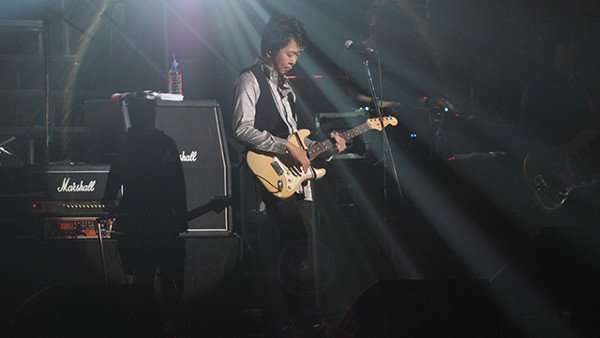 Meguro: This time when I was being raised onto the stage, rather than being nervous I was really cold to the point I was nearly shivering. However the first song (DANCE / P4D) involves a-lot of repetition of the same chords, I thought “I should be able to handle this at least” this helped calmed me and for that I am grateful! To tell the truth after that there were a few songs I actually made mistakes in, but I did the best that I could! 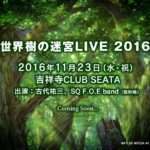 Famitsu: How did you prepare for the concert this time around? 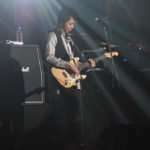 Meguro: Of course I practice everyday, that’s a given. However this time I was really obsessed with creating an good environment to perform in. In my student years I formed an amatuer band, but we weren’t particularly aware of important things in a live setting. In a live environment it’s important to set up foldbacks so you can hear your instruments in the loud environment, it’s also important to prevent loud feedback you get when plugging mics in. To prevent this you usually lower the power on your Guitar, however at that level while performing it becomes easier to make mistakes as it is harder to hear your instruments, that’s just one of the tough problems we deal with. It require solid co-operation to achieve this ideal performing environment, in this we have done the best we can. Famitsu: We all really appreciate the effort you’ve put into this. If you were to rate your performance how many points would you give it? Famitsu: That’s something to look forward to! 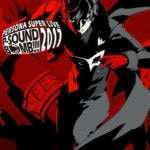 We’re looking forward to hearing heaps of songs from Persona 5. 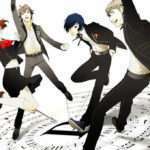 Meguro: The BGM for the latest Trailer is actually the instrumental version of the main theme song. While also keeping in mind the feel and atmosphere of the story, we want to create songs with an acid jazz like feel in creation of the soundtrack. When we proposed this idea to the games director Katsura Hashino he instantly responded “I would expect nothing less than a great idea from you!” and shook our hands in agreement. We’re doing out best to create a soundtrack that everyone can enjoy!